Israeli soldiers invaded, on Tuesday at dawn, various Palestinian communities in the occupied West Bank, and kidnapped at least five Palestinians. Soldiers also clashed with local youth in Bethlehem.The Palestinian News & Info Agency (WAFA) has reported that the soldiers kidnapped three Palestinians in the West Bank district of Bethlehem, and handed several others military warrants ordering them to head to the Gush Etzion military and security base for interrogation. WAFA said the soldiers kidnapped two brothers, identified as Ahmad Radhi Shousha, 27, and Mahmoud, 25, from Husan town, west of Bethlehem, after violently invading their home and ransacking it. Also in Bethlehem, dozens of soldiers invaded Jabal al-Mawaleh area, and kidnapped one Palestinian, identified as Mohammad Awwad Mousa Awwad, 18. Residents Mohammad Fu’ad al-‘Adaween, 24, his brother Ibrahim, 19, from al-‘Azza refugee camp, north of Bethlehem, along with resident Hussein Saleh Abu ‘Aker, 21, and Ibrahim Yassin Abu Srour, 20, from ‘Aida refugee camp, were handed military warrants ordering them to head to the Gush Etzion military base for interrogation. Medical sources in Bethlehem have reported that several Palestinians have been injured during clashes that took place with Israeli soldiers invading ‘Aida refugee camp. Some were shot by rubber-coated metal bullets, and many suffered the effects of tear gas inhalation. Local sources in the camp said the soldiers invaded several homes and occupied their rooftops, using them as monitoring towers. 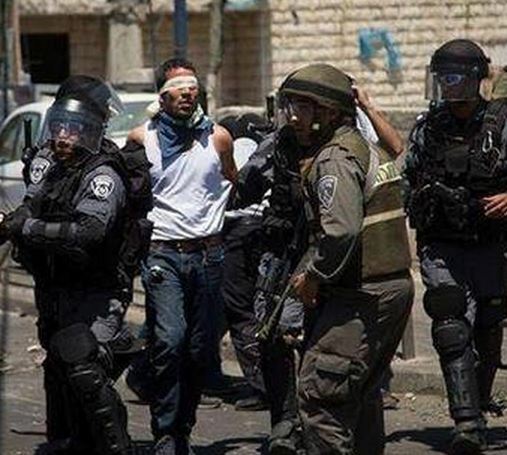 One Palestinian, identified as Abdul-Rahman Rashid Abu Srour, was also kidnapped. The army also invaded various communities in the southern West Bank District of Hebron, searched and ransacked several homes, kidnapping one Palestinian. Local sources said the army kidnapped Qossai Ayman at-Teety, from the al-Fawwar Refugee Camp, and took him to the Etzion military base. The soldiers also detained two children, identified as Mohammad Eyad and Morad ‘Amro, and released them later on. One Palestinian, identified as Mohammad Abdul-Aziz Rajoub, from Doura town near Hebron, was also ordered to head to the Etzion base for interrogation. In Hebron city, soldiers invaded the home of Emad Kharwatt, secretary of the Fateh Movement, and the home of Sharif Shawar, and ordered them to head to the Etzion base for interrogation. Eyewitnesses said the army invaded dozens of homes in the city and violently searched them, causing excessive property damage.